Marietta Gädeke is an expert on communication and strategic empathy. She founded her company Lilit Communications (aka Gädeke.Media) in 2008. All over Germany, Lilit offers training, coaching and consulting for communication and intercultural competence. She studied English, Communication Studies and Economics and graduated with distinction in 2010 from her M.A. studies at the Johannes Gutenberg University in Mainz, Germany, and the Université de Bourgogne in Dijon, France. The German ministry of economics awarded her the title “role model entrepreneur” in 2014. 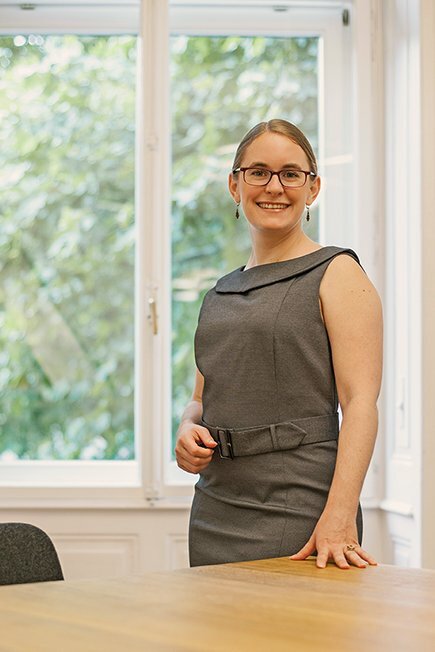 Her theoretical expertise matches her rhetorical finesse: She won the German Championships in Debate in 2007 and reached the Quarterfinals of the World Universities Debate Championship (WUDC) in both 2011 and 2012. Be it in debate, in seminars for the German army or in coaching politicians – she always managed to succeed in male dominated fields. Her earned her reputation in project management, crisis management and intercultural competence while heading the organisation of two World Debate Championships: Berlin, Germany, and Chennai, India. Both projects lasted over several years and included a team of nearly 200 employees and over 1200 participants from all over the world. Focus on intercultural competence and communication. Work with customers from diverse backgrounds (industry, politics, high-ranking officers of the German military). Spokeswoman for several organisations like the SchulKinoWochen Hessen (2014-2016) and the Junge Streicherakademie Annette Seyfried (2015 – present). of the World Universities Debate Championship in Chennai, India. Staff management (200 volunteers), internal communications, organisation building and wrap-up, team development, administration and taking the lead of the event itself. Two-year international project management with a diverse staff from over 20 countries for over 1400 international participants. Managing Board of the alumni organisation, in charge of internal communication. Head of the International Organisation Committee of the World Universities Debate Championship in Chennai, India.